Ok this post has been a long time coming, but I need to wax poetic about the musical phenomenon you’ve probably never heard of. 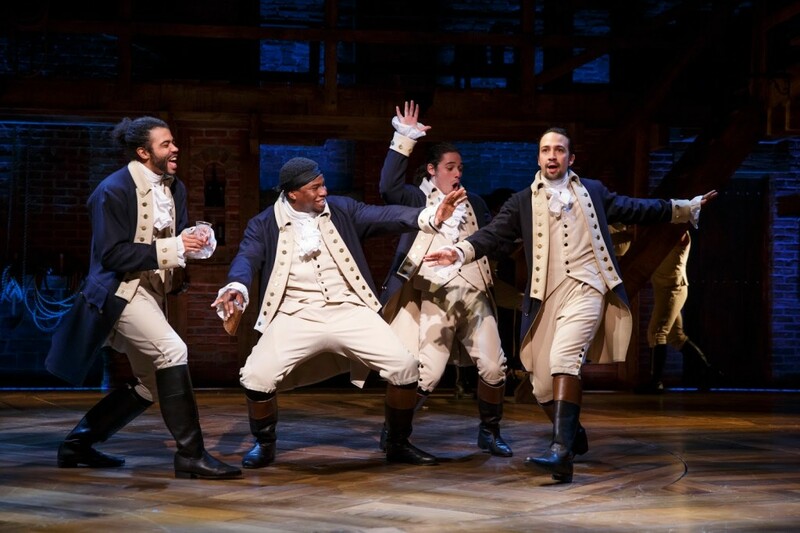 To sum up the story very briefly, Hamilton is a dramatised version of the life of Alexander Hamilton. Who’s that I hear you cry? Well, he’s one of the lesser known founding fathers of America, the first Treasury Secretary of the United States and established the first National Bank. He’s also the dude on the $10 Bill. Sound boring? I thought so too – and this is coming from the girl who’ll happily accept a musicals based on the Gospel of St. Matthew, the Newsboys Strike of 1899 and a German play set in the 1800s*. But then guys I picked up the cast album a few months ago and fell head over heels in love. There are so many reasons why this musical has been herald the ‘RENT’ of it’s generation. 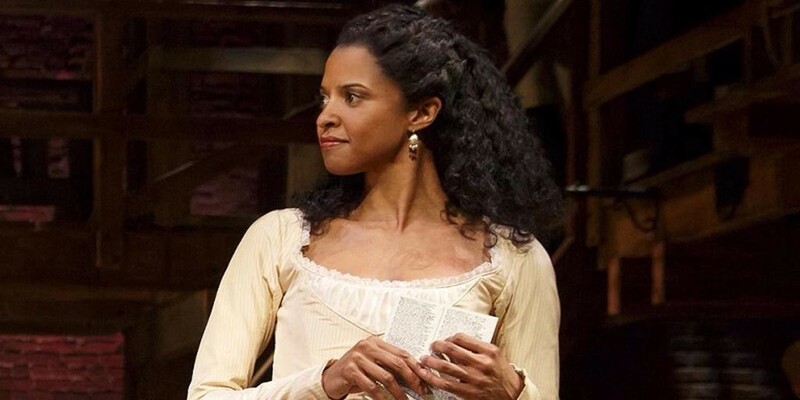 From the incredible story arc and music (written by the GENIUS that is Lin-Manuel Miranda), to the symbolic colour conscious casting of ethnic minorities as the founding fathers and other major players in the show, to its incredible female presence (namely the heartbreakingly stunning Philppa Soo as Elizabeth Schuyler and Renee Elise Goldsberry as Angelica Schuyler), to it’s universal underdog story and the way it tackles subjects still relevant today such as immigration, race, economics, governmental bureaucracy and corruption. 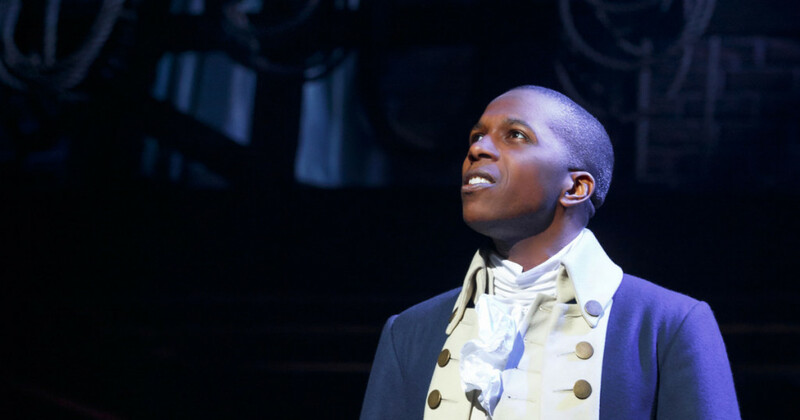 Hamilton is a powerhouse on Broadway right now with big name fans like Daniel Radcliffe, Beyonce, Oprah, Amy Schumer, Eminem, Julie Andrews, Jay-Z, Tom Hanks, and even Obama himself (who’s watched the show twice!) – I dare you to find a weird list of people on the Internet right now. As I mentioned Hamilton’s cast album is the beating heart of this phenomenon. Told almost entirely in Rap and R&B, lyrical masterminds Lin-Manuel Miranda and Alex Lacamoire have created a musical soundtrack that is so fresh and so modern, yet maintains the feel of its setting so well. Littered with musical references and callouts to some of the biggest names in Rap and R&B. There’s the Beyonce’s ‘Countdown’-esque vibes in ‘Helpless’, the nod to Notorious B.I.G in the ’10 Duel Commandments’, the Schuyler’s Sister’s obvious comparisons to Destiny’s Child, and the subtle tributes to Jay-Z’s Empire State of Mind and Eminem’s 8 Mile in songs like Alexander Hamilton and My Shot. It shouldn’t work, but miraculously it does. So. Damn. Well. This one pretty much sums up the entire musical and gives off the best ‘vibe’ of what Hamilton’s about without delving too far into to the politics (both personal and ‘professional’) of the storyline. The raps in this aren’t as fast as some of the ones later on in the album but the old school hip-hop vibes run deep and you get the anthemic feel of Hamilton’s whole mantra in the last chorus. Ah the antagonist song! Here we get a real introduction to Aaron Burr, the man who will go on to eventually shoot Hamilton (btw this isn’t a spoiler, you can’t put a spoiler on HISTORY guys). The song itself is Top 40 quality with it’s slow and subtle Dancehall beat and roaring chorus build up. 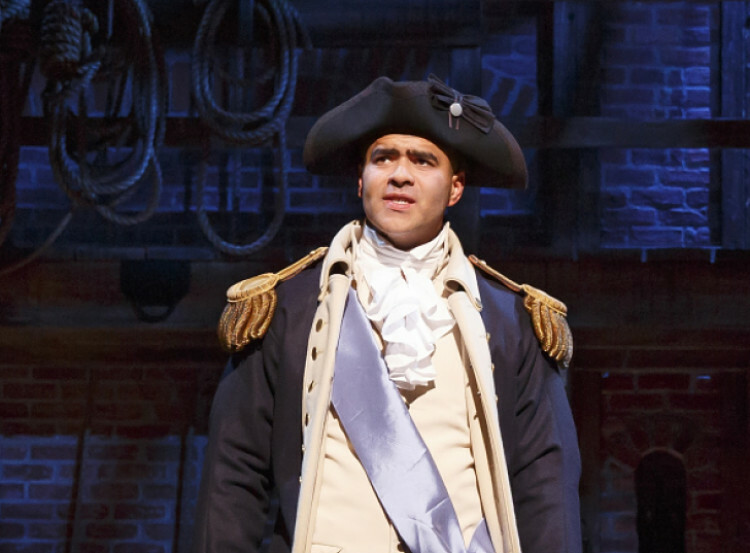 Lyrically it’s genius and reflective of Burr’s state of mind throughout the entire show. The introduction to our female protagonists in the musical has to be one of my favourite musical theater songs of all time. It’s the sassy AF with obvious calls to Destiny’s Child’s Bootylicous and Independent Woman, and honestly just so damn catchy. I recently listened to an interview with Philippa Soo (Eliza) where she said her, Renee (Angelica) and Jasmine (Peggy) see this as their ‘singing in the car with your girlfriends’ jam and I totally see that. I dare you not to feel like a badass when you walk down the street to this. I toyed between this and Burn, but Angelica Schuyler’s solo on her heartbreaking choice between family commitment and true love never fails to blow me away. This is Angelica’s and Renee’s) shining moment in the show set to a old school R&B beat with mad rhymes to boot. 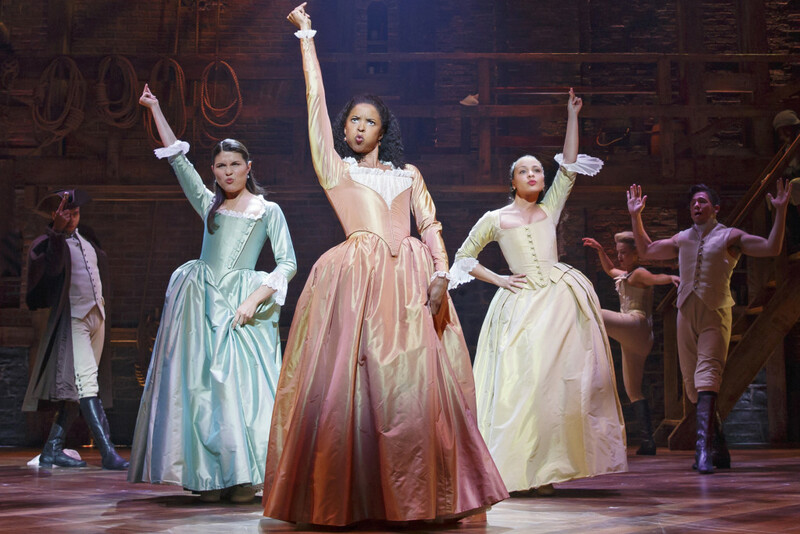 Apparently Angelica has some of the fastest raps in the show, pitting her on the same level as such characters as Lafayette and Hamilton himself – it’s no wonder the casting call asked for an actress who could embody Nicki Minaj! And finally a little something from Act 2 a number surrounding George Washington’s farewell address as he steps down as the first President of the United States. Lin-Manuel Miranda has openly confessed that this one is inspired by this ‘Yes We Can’ video remix by Will.I.Am for Obama’s 2008 campaign run. It’s a song that I feel will become even more resonant as we approach the end of Obama’s Administration – he’s already bloody quoted the musical in a tweet sharing his last State of the Union address (Lin basically died when that happened). There’s a bit of a RENT vibe to this (kinda like 525,600 Minutes), the ending makes me wanna cry and Chris Jackson’s vocal runs give me so much life (the man can riff with the best of them!). Perfect song to end this post on. So go forth! Listen to the cast album, come back to the comments and let me know what you think. I encourage you to turn into a serious puddle of #Hamiltrash like me! *you win at life if you can name all three in the comments.